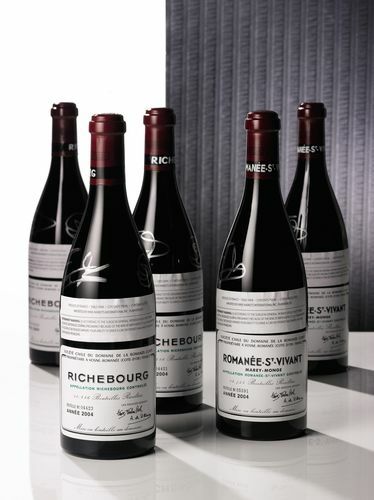 Four bottles of DRC, which went under the hammer for $52k this weekend, have helped to boost sales at the Sotheby’s El Bulli auction to a total of $2.7m. The second leg of the hotly anticipated auction took place in New York on Saturday night, its 625 lots raising $913,605, well over the $515,300 estimate. The top lot was a quartet of Domaine de la Romanée-Conti 2004 signed by Ferran Adrià and his business partner Juli Soler, which were sold to an Asian private bidder for $52,062, doubling their estimate. But it was the final lot that attracted the most attention: a chance for four to dine with Ferran Adrià at his brother Albert’s Barcelona tapas restaurant Tickets. Eight bidders fought to win the one-off experience, which was eventually snapped up by an Asian online bidder for $36,750, or around $9,200 a head. Meanwhile, six bottles of Peter Sisseck’s highly coveted Ribera del Duero wine Pingus 1995 sold for $10,412, more than triple its pre-sale estimate. The El Bulli auction kicked off in Hong Kong on April 3, netting $1.8m with the help of the top lot: three bottles of DRC 1990, which fetched HK$563,500. Kitchen equipment and chef whites also went under the hammer at the auction: a Laguiole knife collection sold for $6,125, while Adrià’s signed chef jacket went for $3,063. Interestingly, Sotheby’s reported that 42% of the buyers at the auction had never taken part in a previous Sotheby’s auction. Proceeds from the auction will help to offset the €6m cost of building the El Bulli Foundation on the site of the Catalonian restaurant, a nonprofit culinary think tank devoted to gastronomic research, which is scheduled to open in 2014. The foundation will grant 20-25 scholarships annually for chefs to spend a year working with Adrià on new creations, the results of which will be posted online. “With these sales the dream becomes a reality,” Adrià said after the auction. El Bulli, a three Michelin-starred restaurant near the town of Roses, 160km north of Barcelona, closed its doors in July 2011, having operated at a loss since 2000. The home of avant-garde molecular gastronomy, the world-famous restaurant was voted the San Pellegrino World’s Best Restaurant a record five times. The San Pellegrino World’s 50 Best Restaurants 2013 will be announced in London tonight, with Copenhagen restaurant Noma, run by Danish chef René Redzepi, anticipated to scoop the top spot for a fourth year in a row.